For many travellers, the steamy streets of Hat Yai pass by in a blur on the way to or from Malaysia. Those who hang around can browse massive markets and sample a diverse range of food in Southern Thailand’s largest city. With some 800,000 people living in the metro area, Hat Yai competes with Chiang Mai for the title of second most populous city in Thailand. Founded only when the railway was built in the 1920s, the city grew into a regional economic powerhouse with an international airport, two large bus terminals and a skyline composed of towering hotels and office buildings. Hat Yai is sometimes dubbed the capital of the South. Stroll through the central business district to watch incense smoke coiling from Chinese shrines as shopkeepers sell bird’s nest soup, gold chains and teacakes while speaking the Teochew and Cantonese dialects that came with their immigrant grandparents decades ago. Also contributing to Hat Yai’s cosmopolitan feel are Malay-Thais, Malaysian tourists, a handful of Western expats and business travellers from around the region. All of these influences are represented in a competitive culinary scene. Though downtown Hat Yai is short on attractions beyond the food and markets, you’ll find several places worthy of a side trip. Water plunges through old-growth jungle at Ton Nga Chang, one of Southern Thailand’s most impressive waterfalls. History buffs could head 80 kilometres south to a network of tunnels once used by Malay and Thai communists at Khao Nam Khang National Park. Songkhla’s lakeside old town is worth a trip east to the Gulf coast, or you could strike west to Ko Lipe’s marvellous beaches in the Andaman Sea. 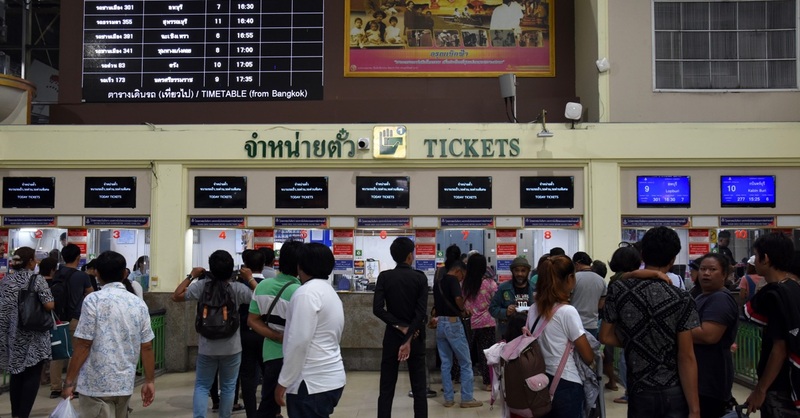 Travellers should be aware that ethnic Malay rebels seeking greater autonomy in Thailand’s deep south have carried out occasional attacks in Hat Yai, including a 2012 bombing that killed five people at the Lee Gardens Hotel. Hat Yai has not seen the more persistent violence that blights Pattani, Narathiwat and Yala, but some feel the situation is risky enough to avoid staying for longer than necessary. If venturing to/from Malaysia via Hat Yai you have several border crossings to choose from. The Dannok / Sadao crossing is a go-to option for hitting Penang. A little further west, the Padang Besar crossing is also popular and handy for a trip to Langkawi via Kuala Perlis, though you could also reach Langkawi from Satun in Thailand. Accessible by train from both countries, the Sungai Kolok crossing makes sense if you’re bound for Kota Bharu and the Perhentian Islands, but keep in mind that this part of Thailand’s deep south has suffered bombings and other attacks. While the Dannok crossing opens from 05:00 to 23:00, Thailand time, the others close by 21:00. Hat Yai is located in Songkhla province, 30 kilometres southwest of Songkhla town, 70 kilometres north of the Malaysia border and 120 kilometres east of Pakbara Pier, which services boats to Ko Lipe, Ko Tarutao and Ko Bulon Lae. Often mistranslated as “Big Beach,” the “Hat” is a shortening of the word mahad, a type of jackfruit tree. A handy reference point is the train station on the west side of downtown. Thumnoonvithi Road shoots east from here and hosts a bunch of restaurants and shopping centres. Cross streets like Niphat Uthit 1 and Niphat Uthit 3 access many hotels, travel offices and markets, including the sprawling Kim Yong Market towards the north side of downtown. You’ll also find several ATMs and bank branches near the train station. Decent maps of Hat Yai and other parts of Songkhla province are available at many hotels, the airport and the Tourism Authority of Thailand (TAT) off Niphat Uthit 1 towards the south side of downtown, which is open 08:30–16:30. The tourist police office stands in front of the TAT, and a regular police station is found just west of the railroad off Phet Kasem Road near the train station. Of Hat Yai’s 20 hospitals, the private Bangkok Hospital (T: 074 272 800) on Phet Kasem Soi 15 in the city’s northeastern reaches is probably the best bet for Western-standard care, while the public Hat Yai Hospital (074 273 100) off Rattakarn Road to the north of town will be cheaper.  Please sign up as a Travelfish member to download the Hat Yai guide PDF (5.9 MB, 33 pages). Membership costs just A$35 per year (less than A$1 per week) and gives you access to over 250 PDF guides. 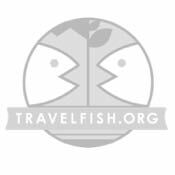 Use the above map to find specific destinations in and around Hat Yai which are listed on Travelfish. Bed icons indicate a guesthouse, hostel or hotel, the knife and fork is an eatery or bar and the four-way circular thingy marks sights, attractions and other points of interest. Click on any icon for a short pop-up and a direct link to the page for that spot. If you are in the area, use the teardrop icon near the top left to show your position on the map (you'll need to allow position sharing for this last feature to work).